Work in support of the 2017 focus on asset management culminated in an industry workshop which was held in London in October 2017. This provided the opportunity for Powering Improvement partners to consider and debate key asset topics within the industry, arising from both existing equipment and future challenges. There was a clear message on the need to refresh our understanding on both the scope and approach to asset management, and to place an equal priority on physical and human assets in the light of increasing industry change. A highlights film has been published which provides a flavour of the breadth of topics presented on the day, and full versions of all the talks will be published in due course to provide a useful training toolkit on asset management issues. Click here to access to the highlights film. See attached the Delivery Plan which sets out the aims, outcomes and outputs for 2017. Click here. The Roadmap has been developed through the industry’s Powering Improvement initiative which brings together electricity companies, trade unions and the Health and Safety Executive in a collaborative effort to deliver the highest standards in health and safety performance. 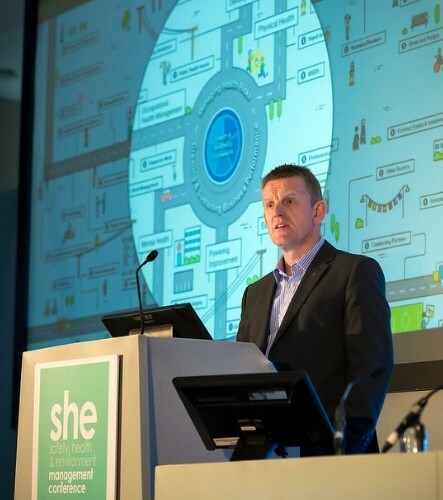 Launched by Geoff Earl (Director of SHE for Northern Powergrid and Champion of Powering Improvement in 2016) at the recent Safety, Health and Environment Management Conference in Birmingham, the Roadmap is an outcome from the 2016 Powering Improvement focus area of ‘Managing Occupational Ill Health Risks’. The occupational health and wellbeing of employees in the electricity sector is a priority for companies which must be approached with the same importance as safety, according to a senior industry spokesman at the Utility Week Health and Safety Conference. Geoff Earl, Director of Safety Health and Environment at Northern Powergrid was addressing the conference as the 2016 Champion of the ‘Powering Improvement’ strategy; the industry wide partnership which has brought together electricity companies through Energy Networks Association and Energy UK, trade unions and the Health and Safety Executive to deliver sustained improvement in health and safety performance. Since 2010 Powering Improvement has focused the attention of industry on a number of key annual themes which contribute to a successful health and safety strategy, with the 2016 theme promoting occupational ill health to the top of the agenda for participants. Setting out the importance of the issue, Mr Earl told delegates that across the industry working days lost to sickness and ill health far exceed those from accidents. Collaboration is at the heart of the Powering Improvement strategy and this year has brought together a wide range of stakeholders to build the case for occupational health improvement in an industry that has seen significant progress in safety performance. A workshop on ‘Managing Occupational Ill Health’ considered interventions and control measures that should form part of a mature response to the health risks within the electricity industry to ensure the physical and mental wellbeing of all employees in a healthy workplace. 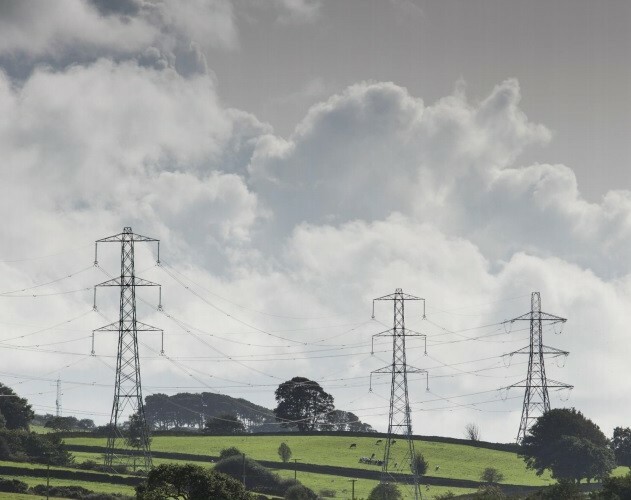 These have fed into the design of a Journey Roadmap which was presented at the Utility Week Conference and will form the basis of the Powering Improvement approach going forward. Powering Improvement Champion Geoff Earl told the conference: “The health and safety of employees is a priority in our industry, because every employee and contractor has the right to go home uninjured and in good health at the end of each working day. Our mission, along with our Trade Union and HSE partners, is to deliver practical outputs to help member companies elevate the Health agenda to the status of Health with a capital ‘H’ to sit alongside Safety with a capital ‘S’”. Click here to view all announcements and events from 2016. HSE Chair Martin Temple opens the Help GB Work Well 'Commitments' event at the Imperial War Museum. The event celebrated over 100 commitments made by industry, unions and other groups to play their part to improve health and safety in their workplaces and industries. Powering Improvement was illustrated as an example of 'Acting Together' and 'Tackling Ill Health'. You can read more about the commitments here. The Powering Improvement Process Safety and Corporate Memory Workshop's are still being carried out across the DNO’s with the last one taking place at Northern Powergrid on the 24th November at Leeds Marriott Hotel, Leeds. Peter McCormick, Mike Leppard (ENA), Geoff Earl (NPg), Lee Wallace (WPD) and Richard Gough (SSEN) provided presentations at the event along with other Northern Powergrid colleagues (Len Tweedie, Mick Hickling, Nick Gill & Richard Bowers). Over 100 Northern Powergrid members of Staff attended the event, this included Directors, Managers, Operatives, Trade Union Representatives, Engineers, and many apprentices / newly recruited. 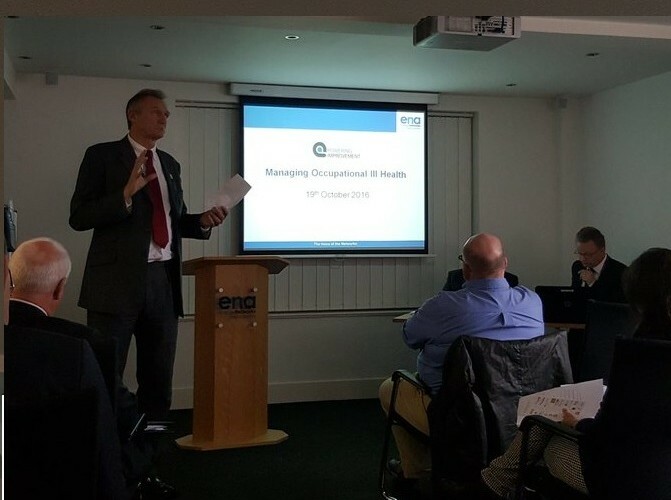 Energy Networks Association (ENA) hosted a workshop in London on the 19th October 2016 as part of the 2016 Theme of 'Managing Occupational Health Risks'. The workshop was attended by around 40 industry people from ENA & Energy UK Member Companies, Trade Unions (Prospect, Unite, Unison and GMB) and the HSE. There were a number of presentations given at the workshop including Deborah Jamieson (Department for Work and Pensions), Geoff Earl (Director of SHE at Northern Powergrid and the 2016 PI Champion), Anna Rowland (National Grid), Stephanie Schreiber (Business In The Community), Geoff Cox (Health and Safety Executive) and Dr Greg Irons (Occupational Health Advisory Group). Please click here to view a report following the event. A successful corporate memory and asset management workshop was held at ESB Networks in Dublin on the 2nd June 2016. The Workshop was attended by 50+ ESB Networks' staff, ranging from Senior Health and Safety Managers, Operational Managers, Directors, Trade Unions, and health and safety representatives. The workshop was a continuation of workshops being held at all of the ENA Electricity Members Companies with a focus on Corporate Memory and Asset Management. ESB Networks also shared the lessons learnt from an incident that had occurred recently where 2 poles had broken at Portarlington leaving a live conductor hanging low over a road, fortunately no-one was harmed, however Peter McCormick informed delegates of a similar incident where the outcome was more severe and member of the public tragically lost their life. A number of other case studies were looked at during the workshop with a number of learning points identified, re-enforcing the key messages of following the right processes and procedures to ensure the workforce and members of the public are able to go home safe and healthy after each working day. Another successful Asset Management Workshop took place on the 19 March 2015, the workshop was held by Northern Ireland Electricity (NIE) at the Hilton Templepatrick Hotel in Belfast. Around 30 NIE colleagues from a variety of backgrounds attended on the day. This included Directors, Managers, Engineers, Health and Safety represenatives, Trade Union representativesas well as Contractors. The focus of the Workshop was on the Chelmsford Tap Changer case study developed from the tragic event which occurred in 2008, and Corporate Memory issues arising from the Barr Head incident in 1997. The worskhop also allowed for discussions on other issues concerning both Asset Management and Corporate Memory. Speakers and facilitators on the day included: Roger Henderson (Operations Director, NIE), Peter McCormick (Powering Improvement Coordinator, ENA), John Steed (HM Principal Specialist Electrical Inspector, HSE), Rory Lynch (Prospect Representative, NIE), Mike Leppard (SHE Adviser, ENA) and Jamie Reeve (SHE Adviser, ENA). There were breakout sessions carried out during the day to allow attendees to discuss ideas on Process, Plant, People and Recovery in relation to Asset Management. An event on the 4 March 2015 in the House of Commons has marked the launch of a second phase of the electricity industry’s successful health and safety initiative ‘Powering Improvement’. The five year Powering Improvement strategy was first launched in 2010 and brought together electricity companies, trade unions and the Health and Safety Executive in an effort to make the UK electricity industry a world leader in occupational health and safety.